The german composer/producer/background singer Dieter Bohlen formed the group Blue System with it's 80's eurodisco and pop disco sound in 1987. The 1st single was Sorry Little Sarah and the album title Walking On A Rainbow. 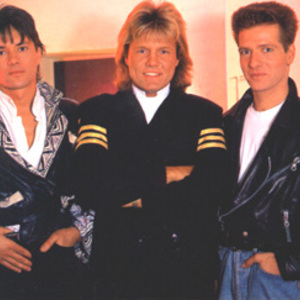 Dieter Bohlen formed this group after the 1st brakedown of his duo Modern Talking. The group recorded 13 albums between the years 1987 and 1997 when he reunited with Thomas Anders in Modern Talking comeback.